George Mason University Libraries is excited to announce a new venture: the Mason Libraries Artist-in-Residence Program. 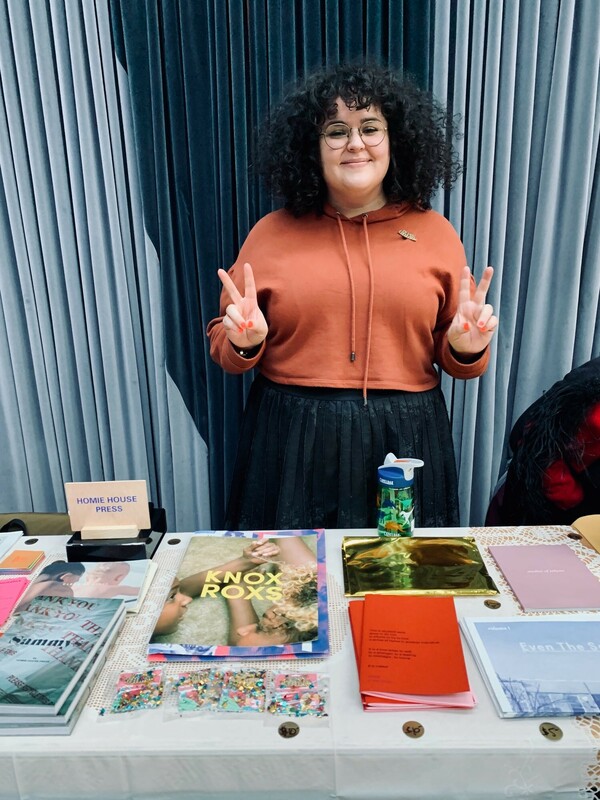 For our first (pilot) year, we’ve invited Adriana Monsalve, a photobook artist and publisher, to join us in a research and visual arts project. Throughout April and May 2019, Monsalve will be dividing her residency between the Mason Libraries (particularly the Fenwick Gallery and the Special Collections Research Center in Fenwick Library) and the Mason School of Art to lead a series of in-class lectures and workshops, and to conduct research in the library’s photobook and artists’ book collections. The residency will conclude with an exhibition curated by Monsalve, a special artist’s talk, and the publication of a collaborative zine produced by Mason students and faculty. About Adriana Monsalve: Adriana Monsalve is an artist and collaborative publisher working in the photo book medium. Together with Caterina Ragg, they run Homie House Press from Beltsville, MD and Lambrate, Milano, Italy. HHP is a radical cooperative platform where they challenge the ever-changing forms of storytelling with image + text. Monsalve earned a Masters in Photojournalism from the University of Westminster, London in 2013. In 2018, she was awarded the Lucie Independent Photo Book Prize for her collaborative photo book, Femme Frontera, a project which was funded by the National Association of Latino Arts and Cultures and was part of the Master Artist Grant for 2017. The works of Homie House Press have been collected in the Library of Congress, the Thomas J. Watson Library at the Metropolitan Museum of Art, the National Museum of Women in the Arts, and Maryland Institute College of Art, among other private collections. At Mason, you can find Monsalve’s photobooks and HHP publications in the Mason Libraries Artists’ Book Collection, housed in the Special Collections Research Center. See more on Monsalve’s work and HHP at http://www.adrianastories.com. This residency is sponsored by the George Mason University Libraries, the Mason School of Art, and the Mason University Life Programming Fund. 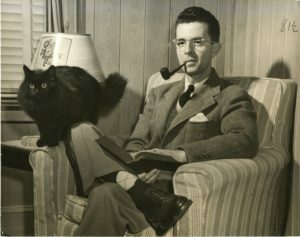 For more details about the program and upcoming events, visit the Fenwick Gallery website, http://fenwickgallery.gmu.edu/residency. SCRC’s Staff Picks will remain on display through August 2019, so please come by and check them out in person. They are also available for viewing in SCRC’s Flickr album. The Libraries’ Special Collections Research Center (SCRC) has opened their new exhibition featuring SCRC staff favorites, and they would like you to vote for the winner! An online exhibition has been created that features all of the items physically on display in the SCRC Exhibition Gallery. Check them out in SCRC’s Flickr album and then vote for your favorite by taking the survey. Voting will take place each week in March in the style of #MarchMadness. The first week 32 items will be chosen, the next week 16 items will be chosen, and so on. Prizes will be awarded each week to a random participant. 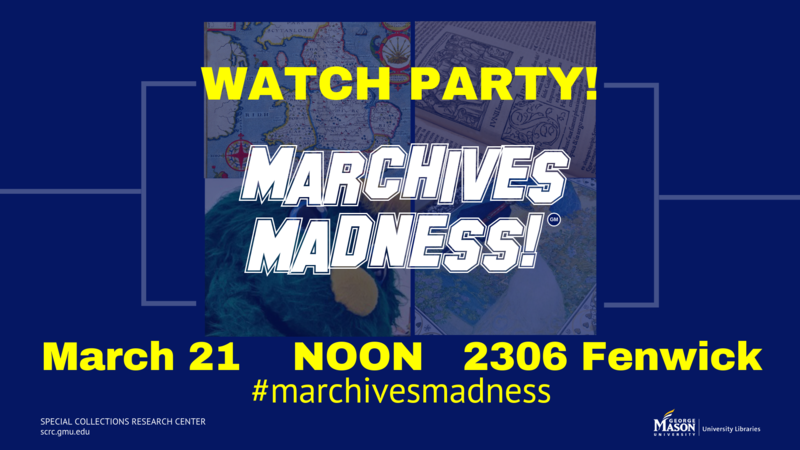 Then, join SCRC in Fenwick 2306 for a March Madness watch party on March 21! The University Libraries is pleased to announce its participation in the collaborative effort, Digital Virginias, created by a group of universities in Virginia and West Virginia. In addition to George Mason University, Digital Virginias partners include University of Virginia, Virginia Commonwealth University, Virginia Tech, College of William and Mary, and West Virginia University. Digital Virginias is the newest hub to join the Digital Public Library of America (DPLA) – a nationwide digital project with the goal of maximizing public access to our shared history, culture, and knowledge. DPLA currently has 40 partners, including such national treasures as the National Archives and Records Administration, the Smithsonian Institution, the New York Public Library, and others, including representatives of most of the 50 states. DPLA collections contain millions of items available to the public for research and exploration. Digital Virginias is currently comprised of more than 58,000 items, and expects to grow both collection items and participating regional partners throughout the upcoming year, thus building a network that will extend to capture and expose digital collections across both Virginia and West Virginia. 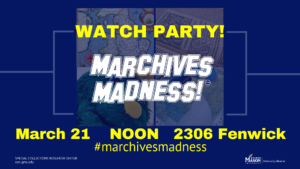 Within the Mason Libraries, preparing to join this endeavor was a team effort. Lynn Eaton, Director of Special Collections Research Center, and Bob Vay, Archivist, identified collections that the Libraries could submit to the hub. Peggy Griesinger, former Metadata Librarian, prepared all of the metadata for the items and served on the hub Group’s metadata committee (Tricia Mackenzie, Head of Metadata Services, and Ashley Howell, Metadata Specialist, will take over metadata duties going forward). Wally Grotophorst, Associate University Librarian for Digital Systems & Strategies, served on the hub’s Strategy Group. To search items in the collection, visit https://dp.la/news/digital-virginias-is-now-a-dpla-hub. For more about Digital Virginias, visit https://digitalvirginias.org/.